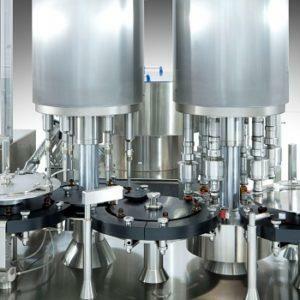 The demands of safety, sterility assurance, and regulatory compliance are continuously increasing in pharmaceutical production. By taking advantage of newest technology and combining it with traditional containment equipment, containment “gaps” can be minimised and a more secure production process is reached. 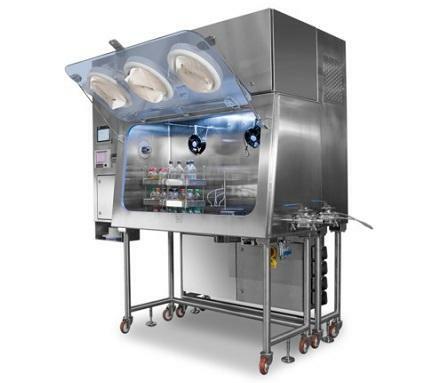 Moreover, it facilitates that protection and containment systems can be tailored to meet not only customer demands, but also FDA and EMEA regulatory guidelines. PPS works together with Müller and Telstar in delivering high quality protection and containment equipment. 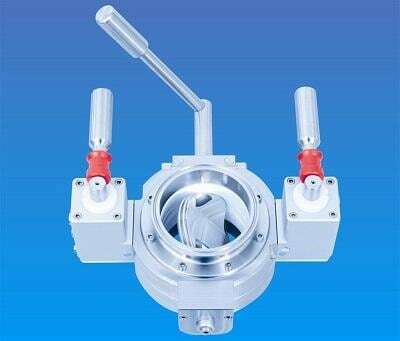 The containment split butterfly valve from Müller is ideal for emptying and filling highly potent or toxic substances in the safest way in order to protect the operators, the environment and the product. Highest level of protection (OEB5). Manual or automatic opening of valves. Easy and quick replacement of valves. Restricted access barrier systems (RABS) provide an aerodynamic barrier between product and operator to protect both from contamination. Telstar supply RABS that are very near the aseptic quality as that of isolator technology. Flexible with either open passive RABS or closed active RABS. EU Grade A (ISO5) conditions inside the barrier (with at least ISO 7 surrounding). Full qualification services (DQ, IQ, OQ). Laminar flow benches (LAF) are essential in any cleanroom facility where the use of HEPA filtration ensures optimum product protection. 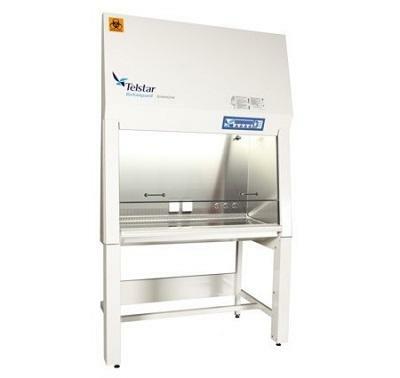 PPS and Telstar offer horizontal and vertical laminar flow benches, both providing the highest product protection. Energy saving design with low noise level. Available as standard of 3, 4, 5 or 6 ft. or as custom-built solutions. Designed and manufactured to comply with international safety standards. 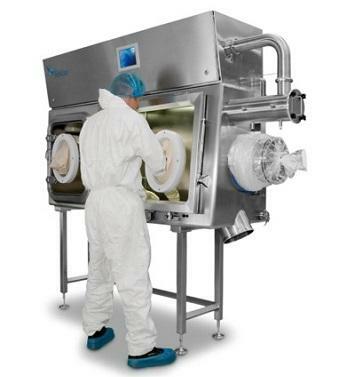 Telstar downflow booths (DFB) are used in hazardous and toxic powder processing to secure the highest level of operator protection and shield the product from surrounding environment contamination. The downflow booth works on a re-circulatory push-pull airflow principle with two main filtration stages: EU8 pre-filter and Hepa H13 Filter. Suitable to handle a wide range of container types. Operator Exposure Levels (OEL) typically between 50 and 100 μg/m3 TWA. Flexible design as DFBs can be custom engineered to any size. Isolators help protect the process from the operator and vice versa. Telstar isolators are built with the highly advanced containment transfer system (CTS) which combines ultimate safety, simple operation and the highest quality clean ability. Tailored solution to match individual requirements. Sterility test isolators are essential for sterilization validation and tests must be performed in order to avoid the risk of obtaining either false positive or false negative results. Telstar and PPS offer five types of sterile test isolators; isolator types 1, 2 and 3 are for small scale testing and isolator types 4 and 5 are for continuous batch testing. 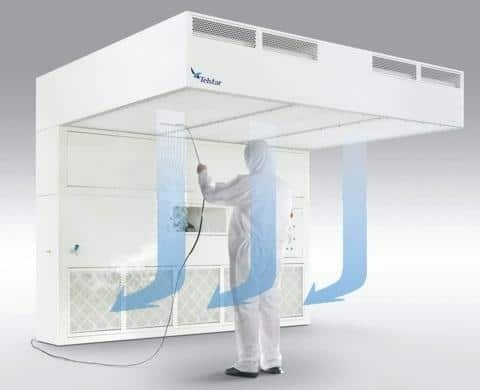 Cleanroom environment surrounding the isolator is not required. Suitable for performing both Direct Inoculation and Filter Membrane sterility tests. 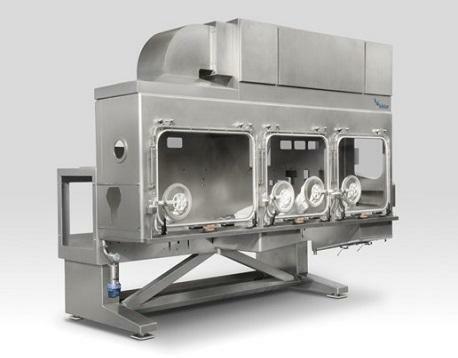 Flexible testing, as the sterility test isolators can easily be relocated.